If you are looking to hire a personal trainer there are several different things that you should take into account before handing over your hard earned money. Most trainers are worth their weight in gold in helping to achieve results. One big question that is coming up more frequently now a day when hiring a trainer is what certification they hold. The same is true for those wanting to become a personal trainer, what is the best certification to get? When looking for a personal trainer or fitness trainer what certifications are you looking for? Is there one certification that is better than another? Why hire a trainer that is certified anyway? Why not just someone that looks like they know what they are doing? Remember the old adage “you get what you pay for”? Let’s apply that to personal trainers. Do you want someone with training and a certification? What kind of education? Should they have a weekend course or a University degree? Do you want someone with experience? What kind and how much experience with what kind of population you looking for? How much are you willing to pay for a trainer? Many trainers specialize in a certain area. It may be specific sport training, weight loss, post rehab, or something else. 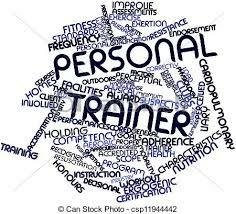 Most certified trainers are well versed in all aspects of health can fitness and can train outside of their niche and can work with clients of all natures if a trainer for your niche is not close by. Currently there are no national standards when it comes to personal trainer certification. This means your “certified personal trainer” could have taken a weekend course or have spent 2 years in collage, or 4 years in University, they may have done their course online and they may not have actually touched a person (no practical or hands on component of their course) when obtaining their certification. Some trainers get hired and have no place being in a gym training people. I don’t even know where to start on how ridiculous this video is. There is no circumstance on earth where these two exercises should be paired together like this. Individually the incline chest press and leg press are two exercises that require a lot of concentration to make sure they are done properly. The odds of this women hurting herself have greatly increased doing this. I could write a whole blog post just on this short video, but I will stop now. If you are working out at a health club check to see if they have bios of their trainers? Some clubs have different levels of trainers. This is very helpful because usually the trainers with less certifications or those with less experience charge less than the upper level/elite trainers. The upper level trainers have more certifications, courses, conferences, self directed readings and experience that the lower level trainers. That is not to say those lower level trainers are not good. Everyone has to start somewhere. Those trainers would take clients that have a less complicated fitness goal. If you have no health issues and are just looking for a general fitness routine than the lower level trainers will more than likely work for this application. If you have some physical limitations or some other health conditions or you are a serious competitive athlete then you may want to spend the little extra money on an elite level trainer. I look at hiring a trainer the same way I look at doing my taxes. I could do my own taxes. I could work my way through it, take a lot of time, become frustrated and spend a lot of time researching trying to determining how much of a return I am entitled to get. Or I could take all of my tax info to my accountant who has been doing this for years and knows exactly what he is doing. He will most likely do a better job on my taxes than I, getting me more money back in less time. Sure it will cost me a few dollars but I save that in time. Remember your time is worth money too. My accountant could just be a friend of mine that knows a lot about taxes or he could be a Certified General Account, registered with a governing body. This was quite helpful a few years ago when my wife got audited by the government. Because my accountant is certified he knew exactly what to do and took care of everything. If I had done my taxes, or gotten a friend to do them things may not have turned out the same way. For those that want to know everything turned out fine. Certification means knowledge and accountability. Anyone that has actually become certified had to pass a test that at least challenged their knowledge base and has passed. Other testes by other organizations challenge both knowledge and practical skills. In many of the organizations to remain certified trainers need to obtain continuing education credits every year. This ensures your trainer will continue to expand their knowledge base through courses or other conferences. Some organizations will provide the trainers with insurance. Trainers that are not certified may or may not carry personal liability insurance. I couldn’t imagine training without insurance; you never know what could happen. I wouldn’t drive a car without insurance, even though I am a good driver. Trainers with certifications also work within their scope of practice that is laid out in their certification. Is someone that has only read muscle magazines and worked out like a bodybuilder themselves qualified to work with you if you have high blood pressure? Can the trainer that just won the local bodybuilding show train you and help you recover from a torn ACL? Maybe he can, maybe he can’t. If they are not certified or do not have the experience working with someone that has those specific issues will they try to develop a program for them anyway? Would they admit when something is beyond their level of expertise? Would they refer you to a trainer that has experience that area? There are some exceptions to the rule. I have seen a few really great trainers that do not have any certifications. They do a lot of reading and research themselves to gain the knowledge to help them perfect their craft. They know their limitations and when they are over their head. These are a rare breed and typically don’t work in commercial fitness clubs. Here is a short list of some of the Certifying bodies out there along with a link to their website. Many to the above organizations offer more than one type of certification. They will offer certifications for pre and post natal, older populations, Group Fitness, indoor cycling, post rehab and many other specialty areas. 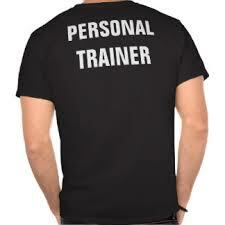 If you are looking to hire a personal trainer, think about your specific circumstance. Are you looking at losing weight or building muscle? Do you have some past or current injuries you need looked at or taken into consideration when a program is designed for you. If you are thinking about becoming a personal trainer, I recommend talking to some of the trainers at your local club. Ask what certifications they have and what type of cliental they train. You can look for local certifications courses being run in your area. Often time’s gyms can point you in the right direction for the certification you are looking for, especially if you want to work in their club. Some gyms have standards that their trainers must meet in order to train there. I have turned down many “trainers” that look the part but don’t have any certifications or courses at all. 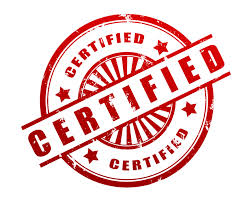 We have a lot of clients that ask what certifications our trainers have and I am happy to tell them that they are all certified and have a lot of experience in different areas. The last thing I would want would for someone to get hurt in my gym under the supervision of an uncertified, uninsured trainer. This entry was tagged Certifications, Personal Trainer. Bookmark the permalink. ← Does the media have it right when it comes to weight loss?